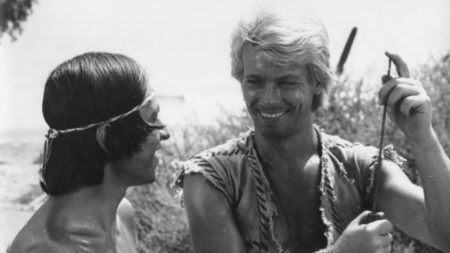 Concerning yesterday’s piece, it was indeed the big hair version of the Robinson Crusoe story, made for French television in the sixties, which survives largely because of its delightful George van Parys soundtrack (there’s a full album available). I collect obscure soundtracks because everything comes around again, and you never know when such music may come in useful. On TV at the moment is a series called ‘Cleaning Up’, about office cleaners getting insider trading tips from big business. No-one seems to have acknowledged that this is a rip-off of the film ‘Ladies Who Do’, in which Peggy Mount and Miriam Karlin are charladies who steal secrets from the offices they clean. A good story never dies. Which is probably why this years Academy Awards are a problem, because mixed in with the arthouse films (‘The Favourite’, ‘Vice’, ‘Roma’), all of which I loved, there are lots of social issue movies that will make you angry and despairing but won’t necessarily leave you feeling entertained. It’s probably why two unexpected front-runners may emerge from the unlikely mid-list of Films That Usually Get Overlooked this year. 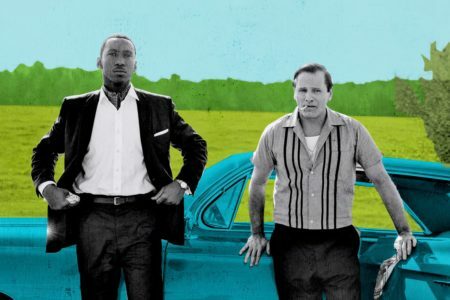 One is ‘Stan & Ollie’, not strictly factual but a joy to behold, and the other is ‘Green Book’, with Viggo Mortensen and Mahershala Ali as a Bronx-Italian speed-eater and an aesthetic, aloof black concert pianist tour the deep South in 1962 armed with a book that tells them which venues will be coloured-friendly. Both stories pretty much write themselves – there are no sudden left-turns here – but in their modesty to entertain and enlighten, they excel. Music and memory – there’s a piece to write there if I get around to it. For years I carried unidentifiable music around in my head from my childhood, only to realise years later that these ear-worms were from films I’m too young to recall even seeing. How did the music cling to my brain when the stories vanished? Check out viral videos on the subject of what makes music stick and you’ll lose a couple of days. One of the most intriguing looks at why John Coltrane’s Giant Steps is so incredibly hard for musicians to perform (be warned, it gets technical). Yesterday’s Crusoe took me back to Saturday mornings… was it the Lone Ranger before or after? Or more likely that hideous aussie kangaroo thing that my sister couldn’t get enough of. Now this one is going to irritate the bejayzus out of me for the rest of the day. It evokes something, weird half-images of London suburbs, buses… eeek. Familiar, but just can’t place it. Les Byciclettes ? De Belsize! Thank you Chris,that will replace the Crusoe music in my lugholes for the rest of the day. On another note,when I saw the first advert for Cleaning Up, I shouted at the screen, ” that’s just a copy of Ladies Who Do.” I can picture Miriam Karlin now speaking with a ciggie stuck to her lower lip. Thank goodness someone else recognised the storyline. Re the ‘Adventures Of Robinson Crusoe’ soundtrack – it was actually composed by Robert Mellin and Gian-Piero Riverberi. It was, and is, a beautiful set of compositions, that were in my head as a child, having been familiar with the show from it’s broadcast during the summer holidays. As I have written here before, I had not heard the music since I was a child; in 1996, I bought a CD called ‘The Cult Files’, and on one of the discs was a suite of themes from ‘The Adventures Of Robinson Crusoe’. I put it on, and after the first few notes, I was engulfed in a wave of almost painful nostalgia, that reduced me, then aged 33, to a sobbing wreck. That time, and that time only. Apparently, I was not alone, as Silva Screen records, who rescue and re-issue film music, were deluged with requests to release a full album of Mellin and Riverberi’s score. It eventually happened, and Mark Ayres, then of The BBC Radiophonic Workshop, borrowed the original tapes from the family of Robert Mellin, and, after making ‘safety copies’, set about cleaning the audio up. The subsequent disc is incredibly good, and the idea of such a characterful, and sophisticated soundtrack for a children’s show today, can be summed up in one word: ‘Nope.’ The popularity of the soundtrack in turn led to the show, in it’s entirity, being released on DVD. Not watching it through a child’s eyes, I can honestly say that it looks and sounds beautiful, and it still grips the imagination. Does it look like a children’s show? It does not. Does it matter that it was dubbed? Not at all – most of the dialogue is internal narrative, and what dubbing there is, is done very well. It’s a show that you need to see for yourself, if only to hear that delightful music, or to remind you that there was quality programming for children, before the dark times, where everything has to be over simplified, twee nonsense, with no sense of risk or danger. You owe it to yourself. A good point, Ian – a children’s show does not have to look and sound like one. I have a litmus test for comedy; if you turn down the sound and it still looks ‘funny’, it’s not good comedy. Definitely agree with Jo, it cries Bicyclettes de Belsize. I looked into our library file and found a film with Bunuel credited (1954) but Spanish language & starring Dan O’Herlihee (can’t spell it but that’s what it sounds like). Not the same thing, is it? Lovely music two days in a row! Helen , Luis Buñuel directed the 1954 film ” The Adventures of Robinson Crusoe” which starred the Irish actor Dan O’Herlihy as Crusoe. It was filmed in Mexico hence the Spanish. So, no, not quite the same thing. O’Herlihy is probably better remembered these days for appearing in the Robocop films and Twin Peaks. The music piece is definitely Les bicyclettes De Belsize. I guess your not a fan of Buster Keaton then, Admin. I think physical comedy is vastly underrated, when done well it is joy to behold. I always thought The Marx Brothers, Laurel & Hardy and a whole host of others looked funny. Being a bit more modern, ‘Airplane!’, just have to enjoy the drinking problem. There has been quite a fun children’s show, ‘Creeped Out’ it’s supernatural anthology much like ‘Shadows’ from the 70’s. I’ve just noticed that by coincidence Ladies Who Do is on the Talking Pictures tv channel today (Weds 23rd) at 6pm!